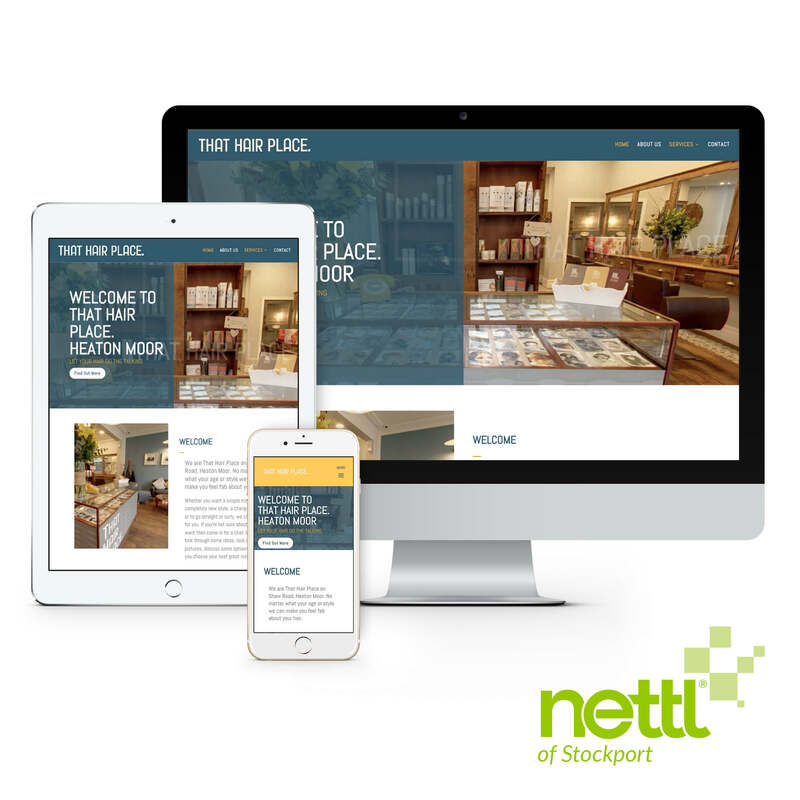 Nettl of Stockport created That Hair Place’s first website when they were finding their feet. After a couple successful years, it was time to give there old site a hair cut. We built this new site using a wordpress platform, spreading the content over 5 pages and moving away from the old ‘jump to’ one page site. This allowed us to include a SEO ready responsive price list, about page, Facebook reviews and instagram feed. As well as all this, we have brought the interior design colours from the salon onto the site, creating an all encompassing ‘brand’. Finally, we made the site on page SEO ready, with plenty of scope to add such features as stylists biographies, online booking system, e-commerce shop, blogs and much more.